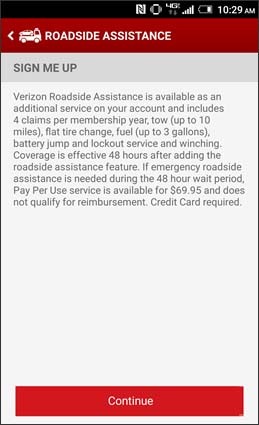 Coverage is effective 48 hours after adding the Roadside Assistance add-on to the account. 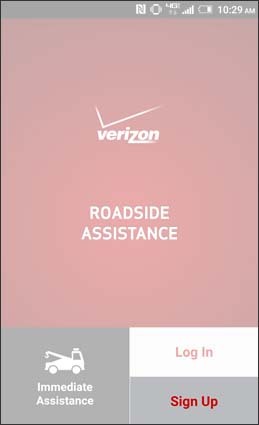 While on the Roadside Assistance home page, tap Sign Up. 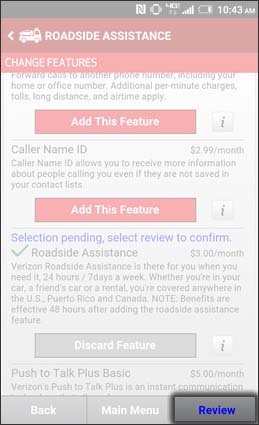 Read the product description then tap Continue (located at the bottom). 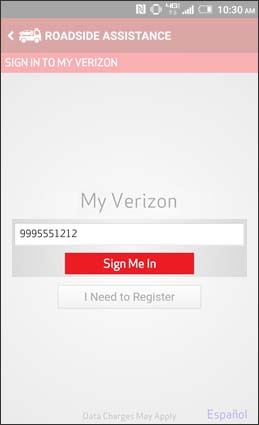 Enter the 10-digit mobile phone number then tap Sign Me In. 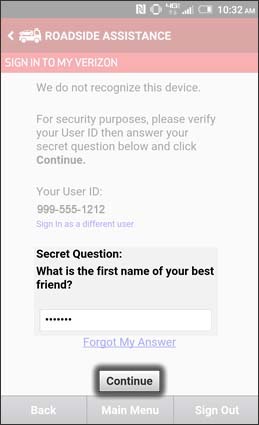 If prompted, enter the answer to the security question then tap Continue (located at the bottom). 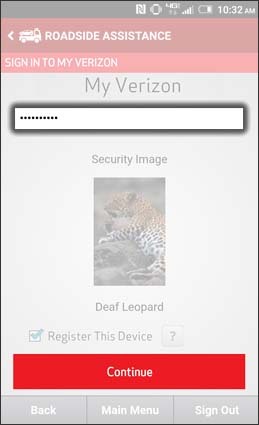 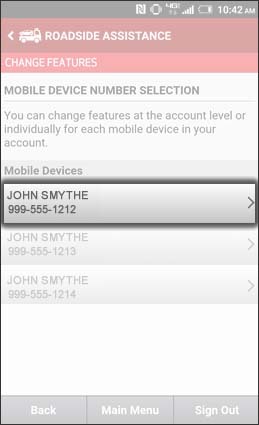 Enter the password for the My Verizon account then tap Continue (located at the bottom). 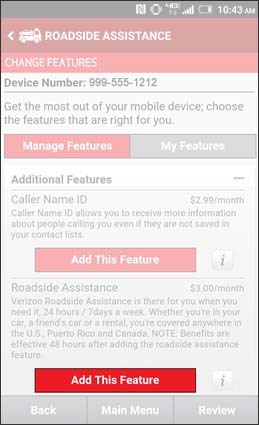 Si se te solicita, selecciona el número telefónico adecuado. 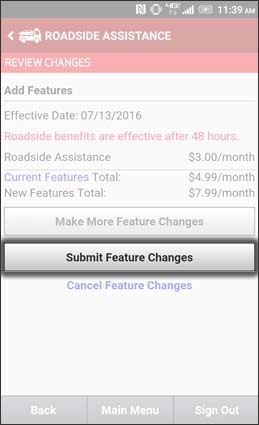 Under Roadside Assistance, tap Add This Feature. 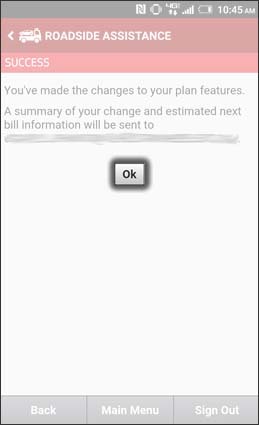 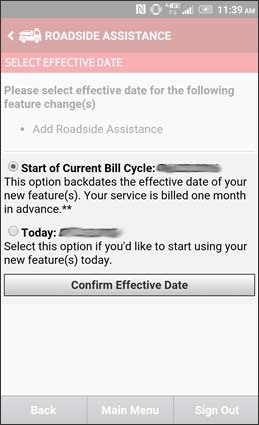 Select an effective date then tap Confirm Effective Date.